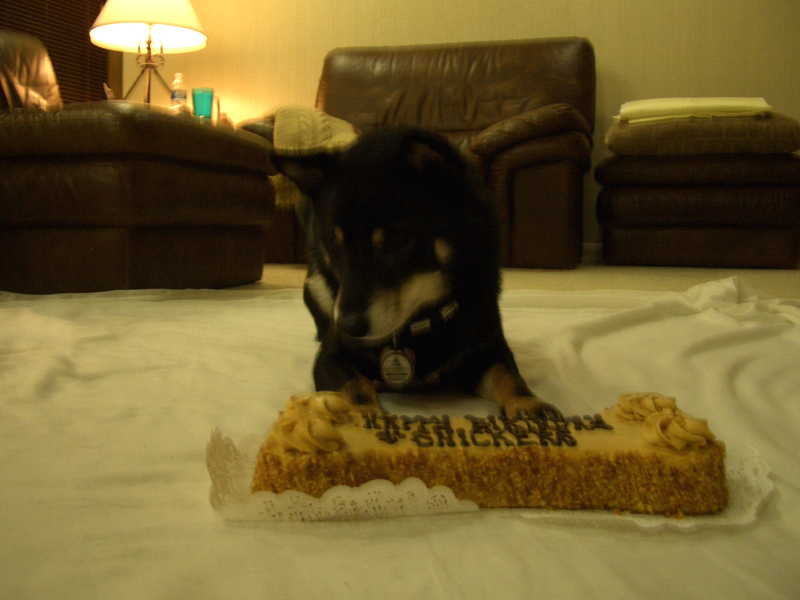 today was my fifth birthday. mom made a big deal of it. she said something about five being special. 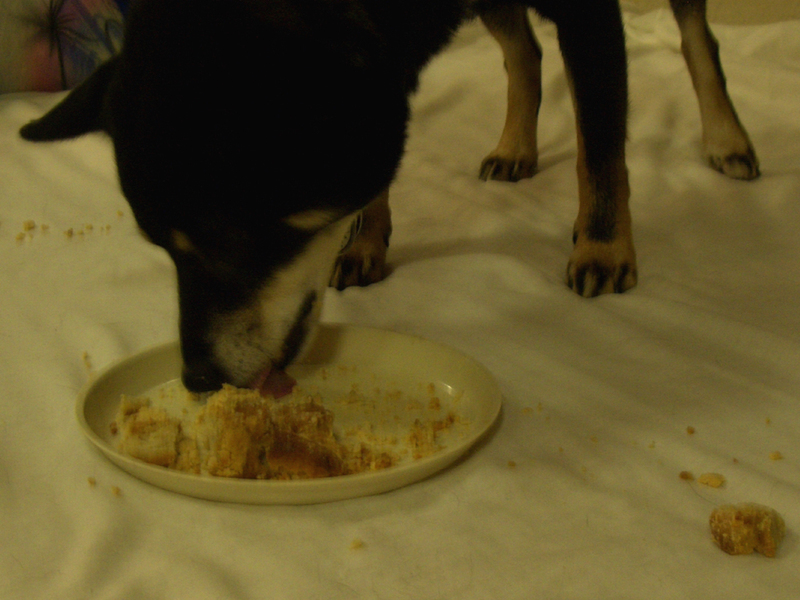 also, there’s thing day called Thanksgiving where the people eat together. the day I was born was Thanksgiving and this year it was Thanksgiving again. (I have no idea why it isn’t that way every year, so don’t ask me.) 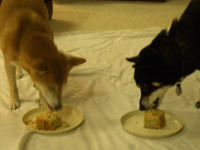 anyway, after all the people ate – and I had some of that, don’t worry – seeky and I got to eat a special kind of cake, just for us! 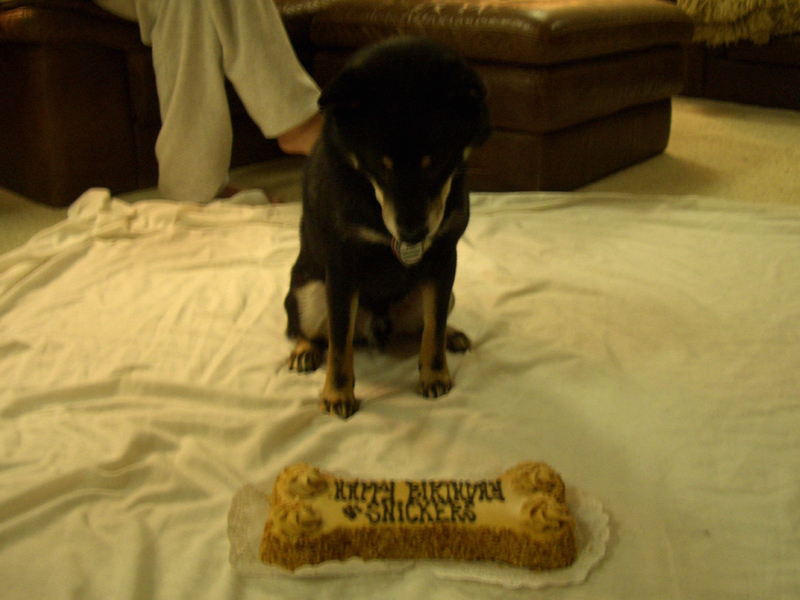 I never had a cake of my own before. the top tasted like peanut butter and it was really yummy. 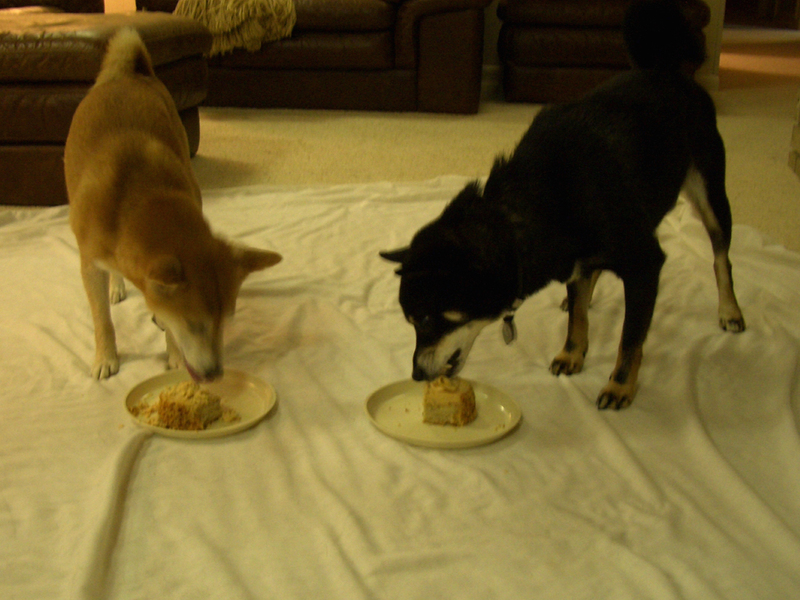 mom was ridiculous and took pictures of us eating. she added them here at the bottom. 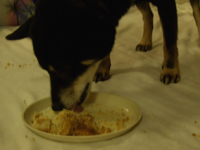 when your dog has a special birthday, think about treating them with doggy birthday cake. it was really yummy! Thanks for having your mom post the photos and a super cute video! We misses you here back home and wish you a happy birthday! 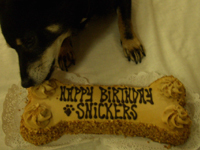 Happy 5th Birthday, beautiful Snickers!! Kisses and chest scratchings to you. If ever there was a reason to be thankful, it’s you in this world. And if there were a reason to celebrate, it’s Your Birthday! 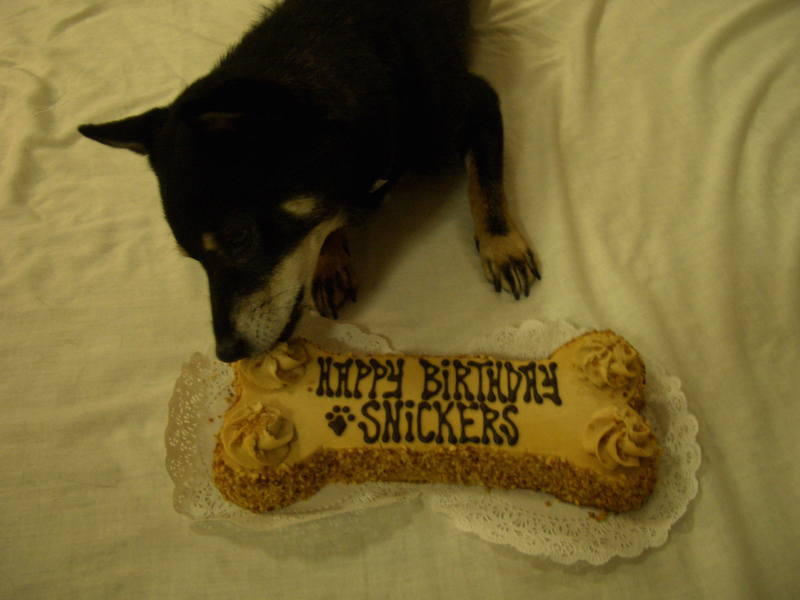 Yaayy for The Snick Dog. Happy, happy, happy Birthday! I can’t cook or bake to save my life. 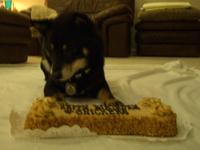 This is a Three Dog Bakery cake! I got it at the new one in Noblesville. They rock!